Has anyone ever created something like this before? I know we can create separate profiles for treads/nosings/risers etc... however am I right in thinking that custom profiles for these components can't be parameterised. If so do you end up duplicating profiles and hard coding the sketch sizes to suit the situation? E.g. a stair has a custom riser/tread that is to be used on storeys where the riser height and/or tread length is different. Last edited by BLothian; July 24th, 2018 at 12:49 PM. for some reason I am always very tempted to build a stairs as a generic model (or some other category), because I still dislike the stairs tool. Pretty sure that would be the case with your example as well. You can parameterise profiles but only by type, so that means new profile types for each run type. And no, the stair tool won't allow instance based profiles per tread/riser in a single run. So it's 1 profile per stair type. Well, per run type per stair type...smh. Dont know the rules of Scotland but down here every step needs to be the same throughout each run anyway. Last edited by elton williams; July 24th, 2018 at 01:13 PM. Hey Elton, I guess what I wrote was a little confusing. In each run, all risers and treads will be constant (like you guys in Oz, we aren't allowed to vary these in a run). What I was meaning is that I have different storey heights in a current project (2550/3600/2850) and I have a common stair which provides access to all of these. 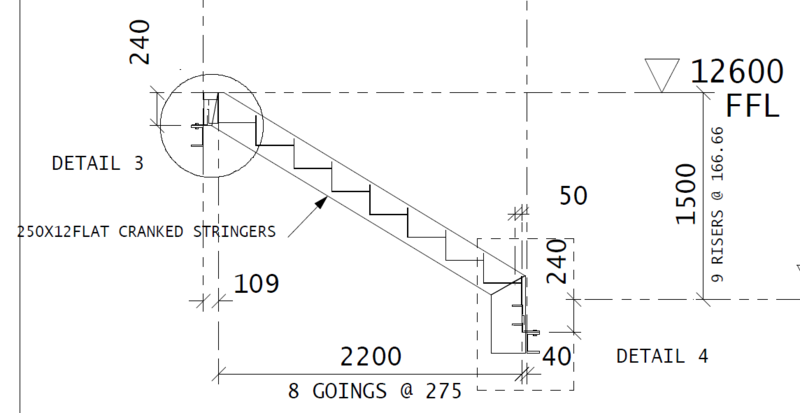 If I were to use a custom Tread/Riser/Nosing profile, I'd like to be able to use it on runs for all of these storeys however I'm pretty certain I can't link a custom tread depth parameter in the profile family to the equivalent instance parameter in the stair therefore any variances in risers and treads for the different storeys (I assume) will need different profiles drawn to the size needed. I think this is precisely a scenario where again the stair tool can't create a run with different length treads AND custom tread profiles. Last edited by BLothian; July 26th, 2018 at 08:29 PM. For difficult stairs i'm not against MIP except you'll need todeal with the loss of stair category visibility control in plan. You lose all the builtin cutline, dashed overhead, run arrows and tread numbering features. I must be blind, but when I read that drawing, it says "9 risers @ 166.66"? That 250/240 measurement is the Stringer vs Floor Beam Set-down isn't it? nothing to do with the treads? 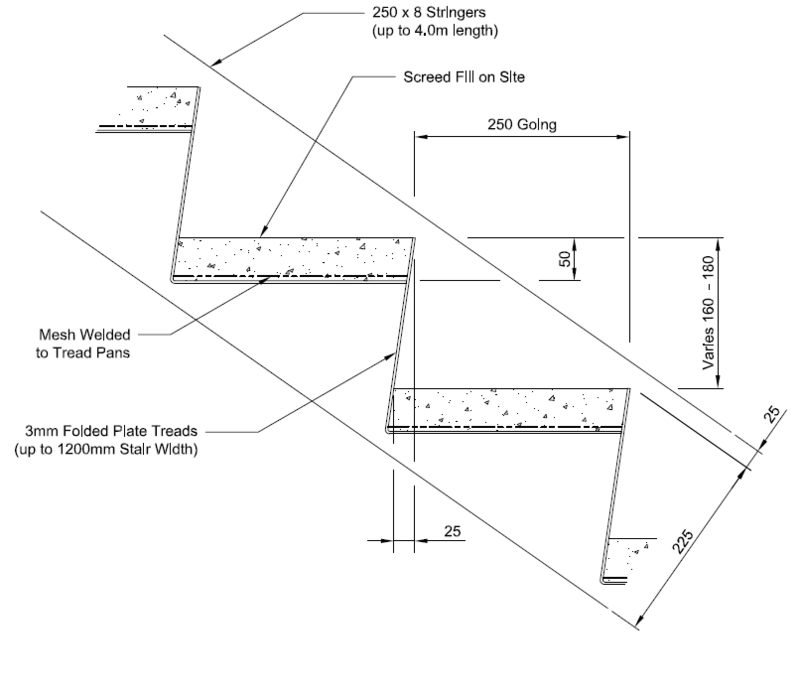 Revit 2014 - Component stair - If you don't end with riser the last tread is shorter?